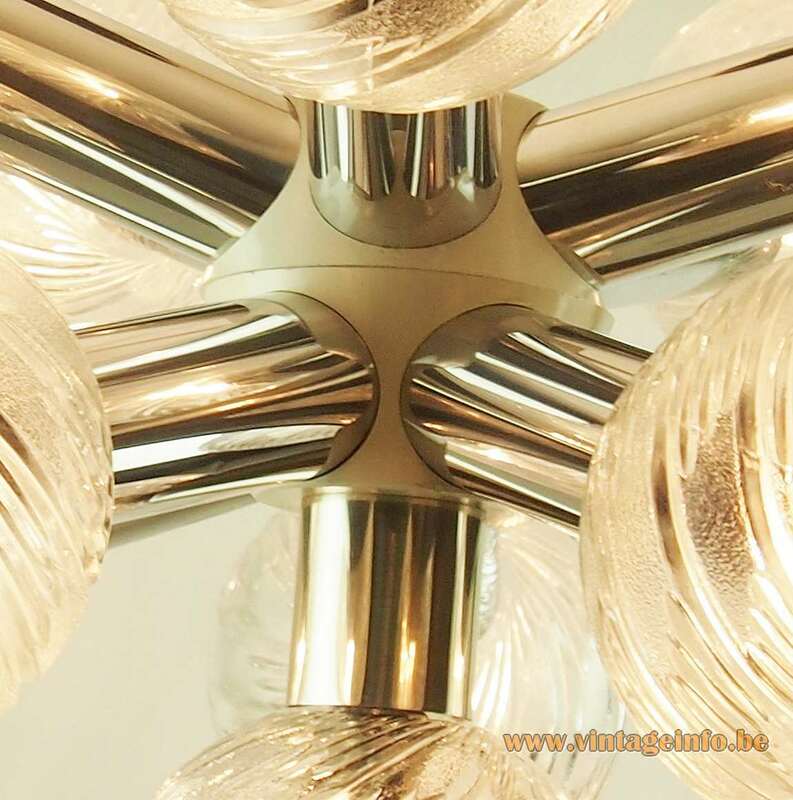 Materials: Chromed metal, plastic. 11 crystal glass globes. 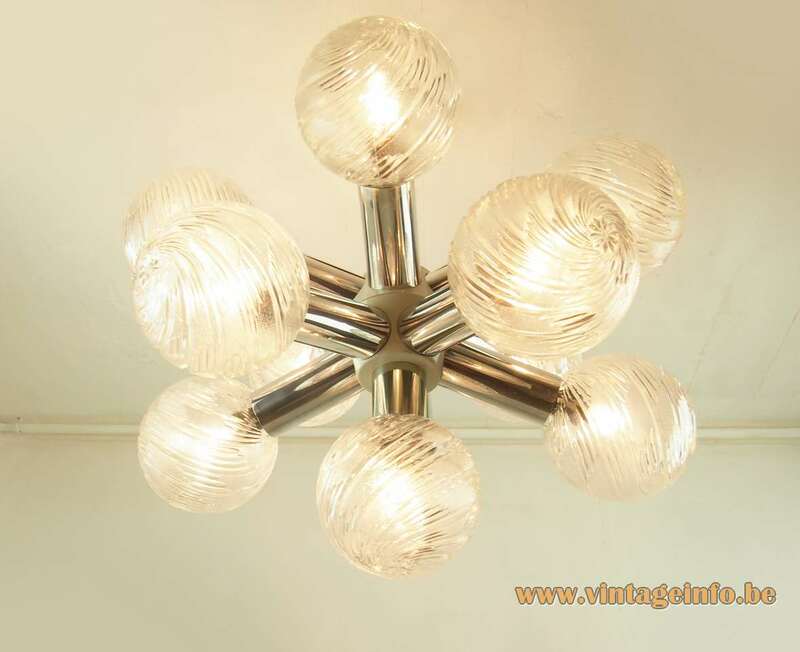 Electricity: 11 bulbs E27, 11 x 40 watt maximum, 110/220 volt. Manufacturer: VEB Werk für Technisches Glas Ilmenau – VEB Wohnraumleuchten Erlau, GDR (East Germany). Other versions: Made with many different types of globes. The label on this lamp says VEB Elektro Medizingeräte Ilmenau – VEB Electro Medical facilities from Ilmemau. 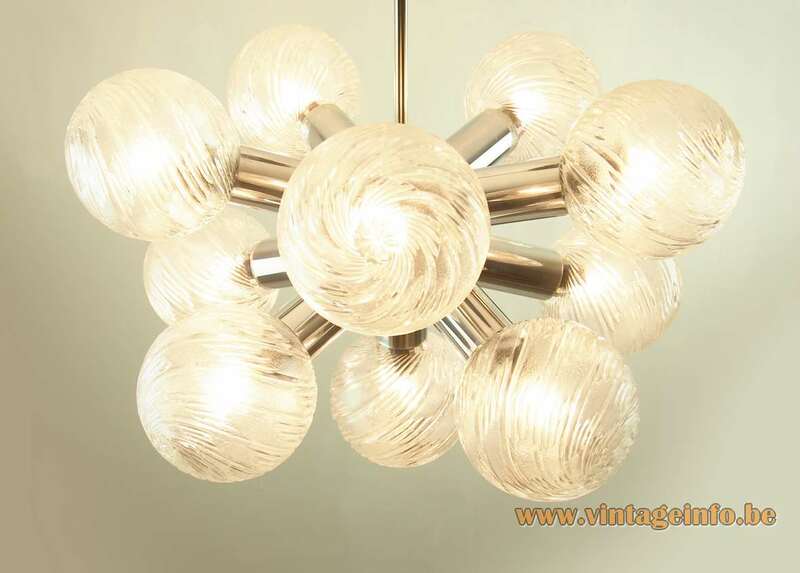 Of course this chandelier has no medical purpose. 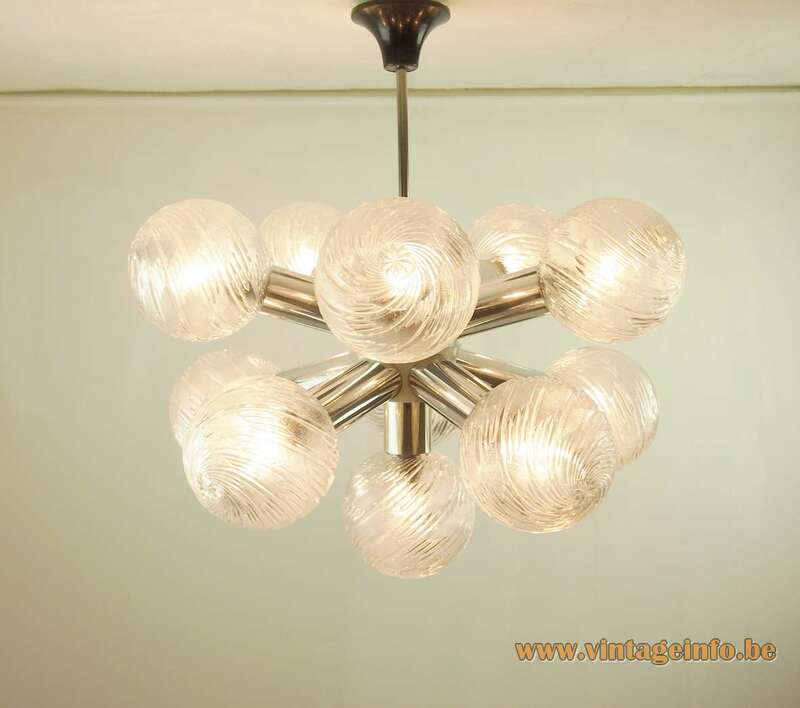 On identical chandeliers we find the label VEB Wohnraumleuchten Erlau. In all probability these two factories originate from the same company before the mass nationalisation between 1945 and the early 1960s. Ilmenau and Erlau are some 25 km / 15.5 mi away from each other. It is a wild guess, but maybe the labels were out of stock. Unfortunately no information to be found about the companies. 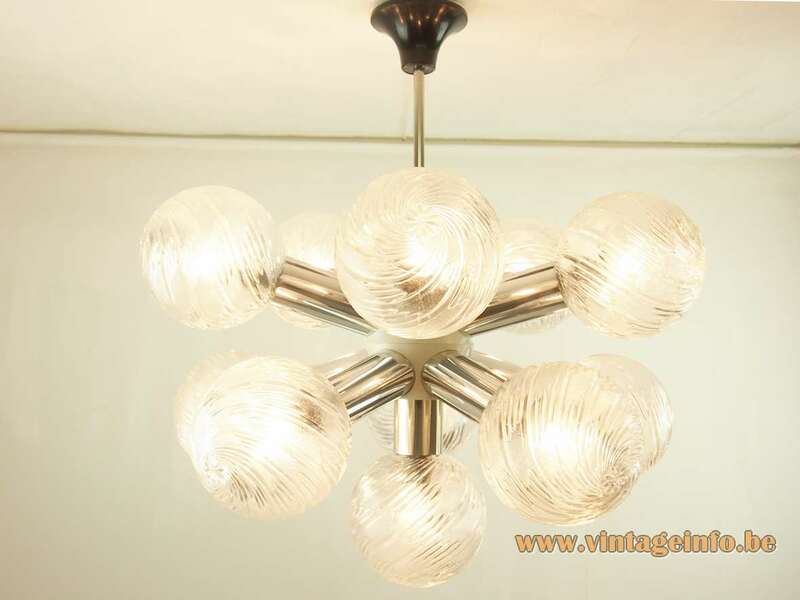 The design of these chandeliers was, to say the least, inspired by the Atomic chandeliers produced by J.T. Kalmar KG, Franken KG from Austria.